This week we’ll visit (possibly) the oldest and most well known western restaurant in Surabaya, Boncafe Steakhouse. It manages to survive amongst the elites due to its ability to reinvent itself over the years and bring in new and attractive menu to its customers. This improvement is apparent in its renovation of the building and a change in its fries and some other new food. 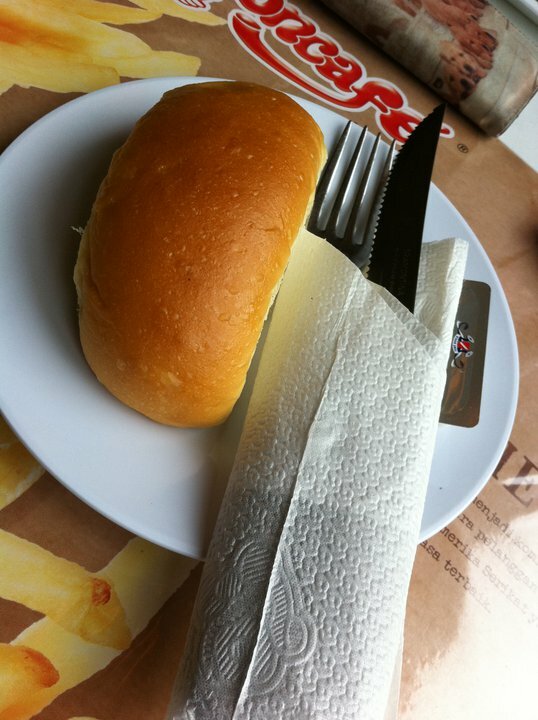 You will always start your lunch/dinner with complimentary bread when you order the steak. I chose to go heavy on the drink by ordering a mixture of coconut and avocado juice, named Snow on the Desert. 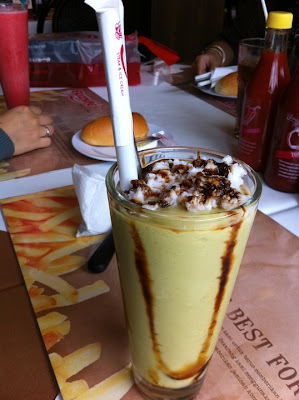 I love avocado juice in Indonesia because of its soft and sweet taste. The coconut was sort of sprinkled on top with coffee syrup sprayed over it. 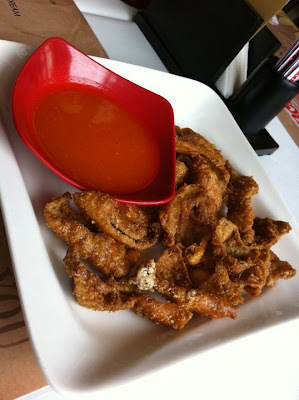 For starters we ordered two of Boncafe’s originals: Kulit Ayam (Crispy Chicken Skin) and Butter Corn. Although it might not be the healthiest starter, the skin was incredibly crunchy. Combined with their special sauce, it became one of my favourite starters of all time. 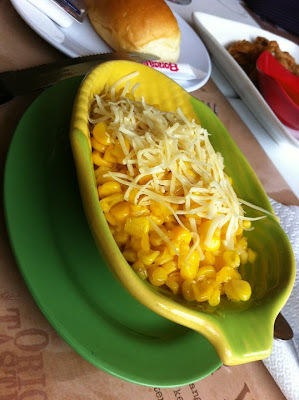 The butter corn was boiled corn with a hint of butter and a sprinkle of grated cheese served in a petite corn-shaped bowl. It was also sweet and nice. Before we move on to the steak, I must tell you that unless you stated otherwise, it will always come with Boncafe’s legendary mushroom sauce. 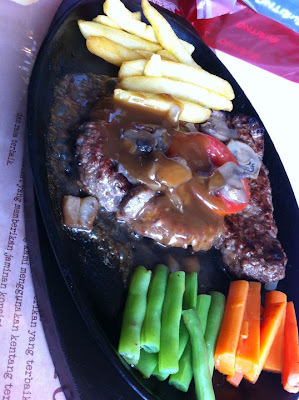 I would also recommend you to have the steak medium well, considering the meat products of Indonesia. 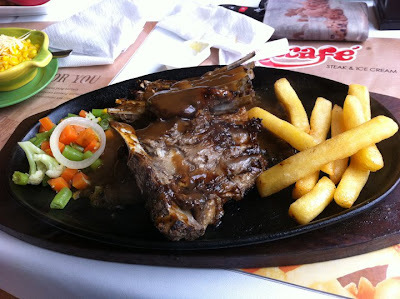 The steaks were served in sizzling hot plate and I personally love the sound of the sizzling when the waiter pours the sauce onto the plate. The first one we ordered was the original Sirloin Steak. It was a decent-sized steak with a little extra side dish. Then came the new food on the menu, BBQ Lamb Ribs. Slightly bigger size than the Sirloin, but I guess it was due to the bone part of the Ribs. 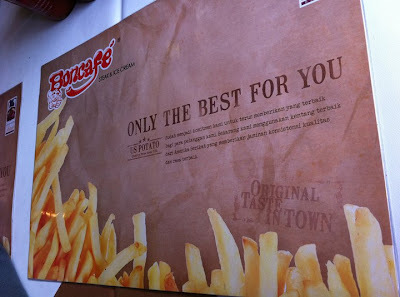 However I would still recommend you to taste their original collection: Cordon Bleu, Spring Chicken, or Mixed Grill. The final verdict: Old favourites like Spring Chicken and Cordon Bleu are still better than the new additions. Unfortunately this time we didn’t order them. Otherwise, It’s a decent restaurant with a local taste. The one I visited was actually the branch. 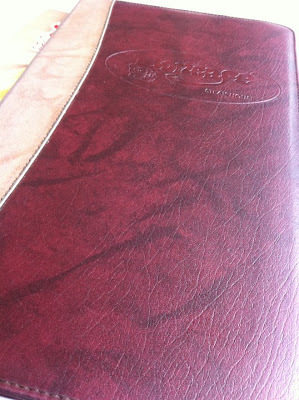 The main restaurant is located in Kertajaya. Boncafe is one of the rare few restaurants that manage to withstand local Surabaya’s harsh food climates. People continually crave for innovative new choices in restaurants or they’d face the inevitable decline of patrons. As with most restaurant in Indonesia, unfortunately they do not have a website that we can go to.